Siberians typically live 10 to 18 years, while the average housecat lives anywhere from 2 to 16 years. 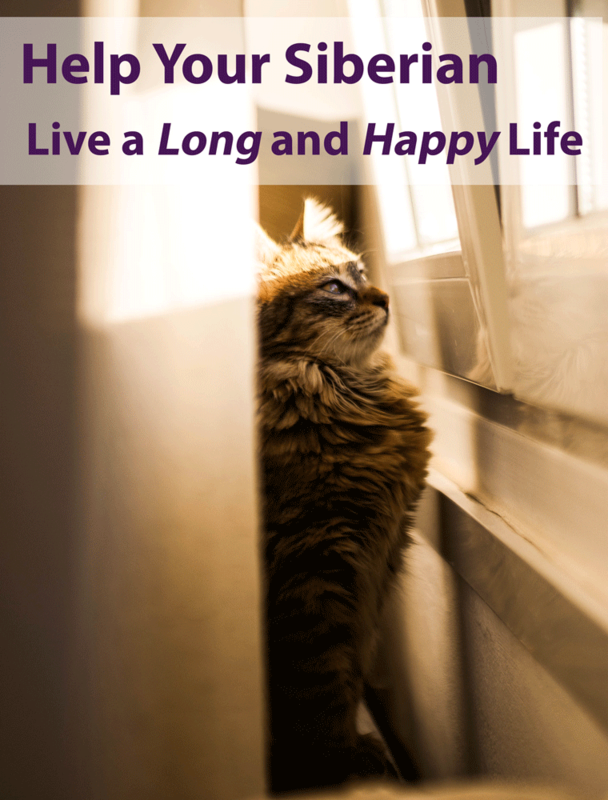 Keep in mind that’s a big range and what you do as an owner can have a major impact on whether your cat lives a long, happy life. In particular, there are a few major things that that the largest effect on your cat’s lifespan and are most important to consider first when caring for your cat. Statistics are pretty solid on this one. 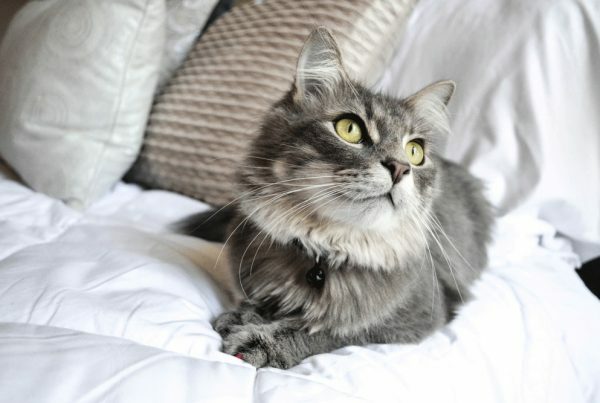 A purely indoor cat can live up to 17 years, while a purely outdoor one averages 2-5 years. You may harbor a certain nostalgia about your Siberian’s ancestors roaming the wild forests of Siberia and want to let them outdoors, but be warned about the many dangers waiting for your cat outside. Poisonous substances, cars, predators and unkind people are just a few things to be wary of. Take precautions if you do insist on some outdoor time, and read more on letting your Siberian outside in this article. Let’s not fool ourselves into thinking we can just feed our cat anything and have no consequences from it; cats can develop diseases from an unhealthy diet, including diabetes, kidney problems, liver problems and just general degeneration. The best diet for your cat is going to closely mimic what they would have normally eaten in the wild, which is primarily animal protein that contains all parts of the animal and be about 70-80% water. High quality wet food or raw food will usually accomplish this. Whether to feed your cat fish is still a highly contested topic, so when in doubt, go for the land animal as opposed to the sea creature. And avoid feeding dry food as much as possible unless you have no alternatives. Just as we hear “diet and exercise” to be vital to human health, the same goes for your cat. Regular exercise will keep your cat trim and there muscles, joints and ligaments in good condition. Be sure to provide plenty of toys and things to climb on such as a cat tree, and it helps to rotate these items around the room or make them unavailable at times so that they’re novel again when you reintroduce them. Boredom is a major cause of inactivity in cats. Read more on ways to banish boredom in this article. Siberians are known for their dense, beautiful coats that actually don’t tangle or mat very easily. 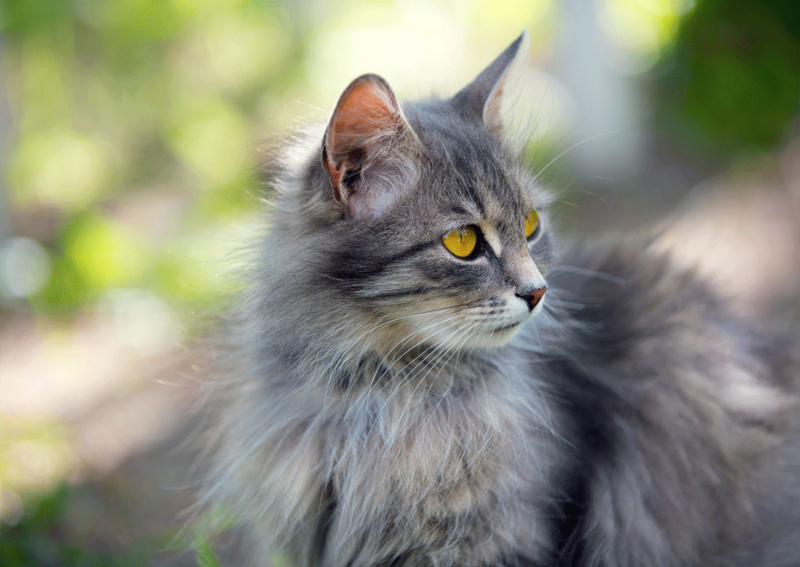 However, your Siberian will shed approximately twice per year, and you can help reduce hairballs by reducing the amount of self-grooming they need to do by brushing. 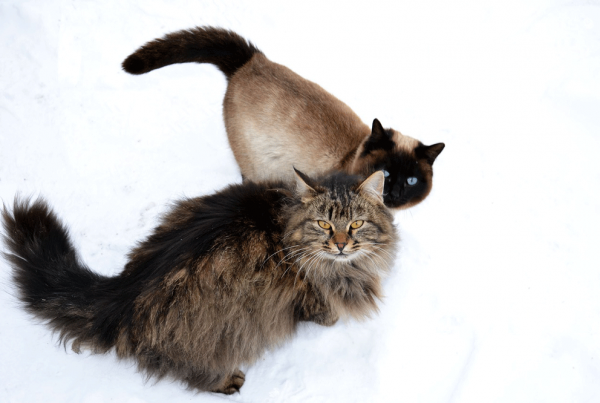 For more information on your Siberian’s shedding and how to brush them, take a look at this article. Even though your cat may not be getting obviously sick from ingesting or absorbing household toxins, over the years these chemicals can take their toll and cause disease later in life. Think about sprays, items and chemicals that are potentially toxic to humans, and they’re likely not good for your cat, either. Household cleaners, soaps and detergents are just a few examples of these. Chemical flea control and pet shampoos are often full of harmful chemicals that can build up in your cat’s body overtime and weaken their immune systems or make them prone to cancer. It has to be said, household cats are twice as likely to die of cancer if their owner smokes, and secondhand smoke has been known to affect other household members including children. Although it may be too much to ask for you to quit altogether, you can change your smoking habits by going outside, which can drastically reduce secondhand exposure to your cat. It’s tough to measure such a thing as love and fulfillment for a cat, but there’s no doubt they’re social creatures and need regular interaction. You probably already have no problem playing with or cuddling with your cat, but if your cat is especially social and/or if you have demands that keep you outside your home a lot, it might be worth considering getting another cat. A kitty companion can provide a lot of social interaction if you can’t be home all of the time, not to mention they’ll likely keep your cat more active as well. The things that may stress out your cat are not always obvious because 1) they can’t comprehend what’s actually safe or dangerous and 2) they’re stressed out by different things than we are. Always provide at least one safe place your cat can go where they won’t be picked up or bothered and they’ll naturally go there to destress when they’re feeling overwhelmed. 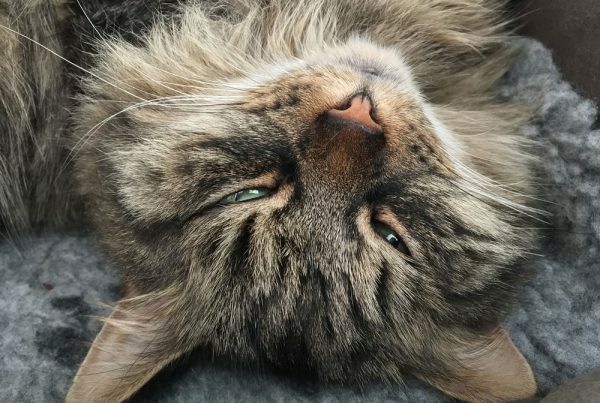 If you see signs of agitation or stress in your cat, like thrashing tail or overeating or overgrooming, this may be a sign to leave them alone or to look out for other potential stressors.